David Brock began his musical training at age 8, studying piano with Quincy Butler. His professional career started at age 11, as a cathedral chorister at Washington National Cathedral. His early teachers were Anthony Furnivall, Shirley and Norman Scribner, and Richard Roeckelein. At Swarthmore College, he studied with Robert Smart (organ and accompanying), and Gerald Levinson (composition). From 2001-2007 David served as Director of Music and Organist at St. Patrick’s Episcopal Church, Incline Village, Nevada. In 2004, David was awarded an Associate Certificate of the American Guild of Organists (AAGO). He continues his organ studies with Dr. Roger Nyquist. 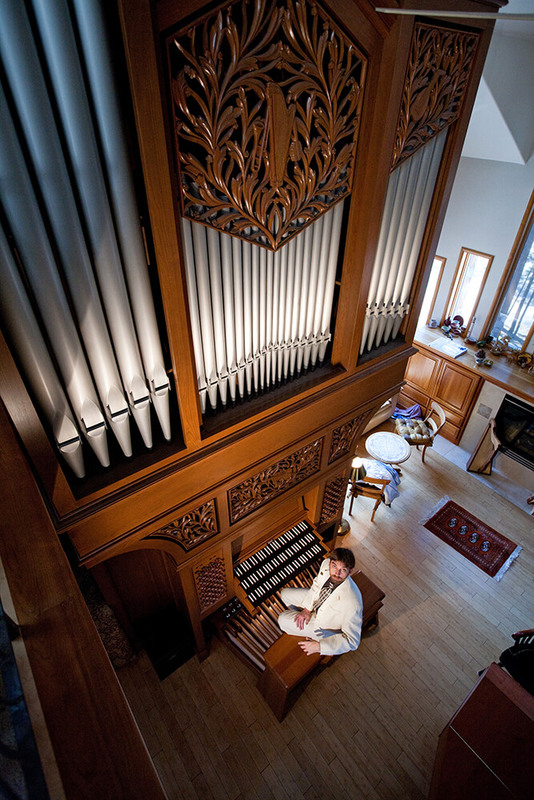 David Brock maintains an active organ recital schedule throughout the United States. Recent appearances have included Washington National Cathedral, Princeton University Chapel, St. Thomas Church New York City, the Cathedral of Our Lady of the Angels, Los Angeles, National City Christian Church, Washington DC, as well as the Cathedral of Bergamo, Italy. Additionally, he is the organist and continuo accompanist for TOCCATA, the Tahoe Symphony Orchestra, based in Nevada. Recent performances include Handel Messiah, Bach St. Matthew Passion, Mendelssohn Elijah, Requiems of Brahms, Mozart, and Faure, and all 6 Organ Concerti Opus 4 of Handel. David has also appeared with the Alexandria Symphony Orchestra in Virginia, in performances of the Saint-Saens Organ Symphony, and the Mozart Requiem. David Brock is a signed artist with A. W. Tonegold Records. His 8th and most recent CD is “Reflections – Organ Concerti of 3 Centuries” featuring the Josef Rheinberger Organ Concerto #1 in F major for Organ, Strings and 3 Horns, the Leo Sowerby Classic Concerto for Organ and Strings, and George Frideric Handel Concerto Op. 4, #4 in F Major for Organ, Strings, Oboes and Basso Continuo. All 3 concerti are available for digital download online through iTunes, Amazon.com, and other outlets. Also available for digital download are David’s first two albums. For Thou Art With Me (2005) – Howells, Karg-Elert, Langlais, Messiaen, Praetorius, Sowerby. More information about David H. Brock, including upcoming concerts, music samples, CD information, and a free ringtone for download, may be found at www.davidbrockmusic.com.